When thinking of resale value for your home – fresh, new, neutral kitchens can appeal to a wider audience. However, if you’re planning to stay in your home for years to come – you want to make the space your own and enjoy it while you’re there! Even if you don’t want to commit to all new cabinets and flooring, there are still a lot of elements you can change to make your space unique. If you want to shake things up a bit and think outside the white-kitchen-box. Below, we’ve gathered some chic ideas to get you started. Black might not be the first colour you think of when remodeling your kitchen BUT it ads elegance and drama to any room. When paired with contrasting colours and textures it offers a neutral warmth that works with any size or style of kitchen. Colours always pop against black and adding brass, copper or stainless steel can be beautifully dramatic. 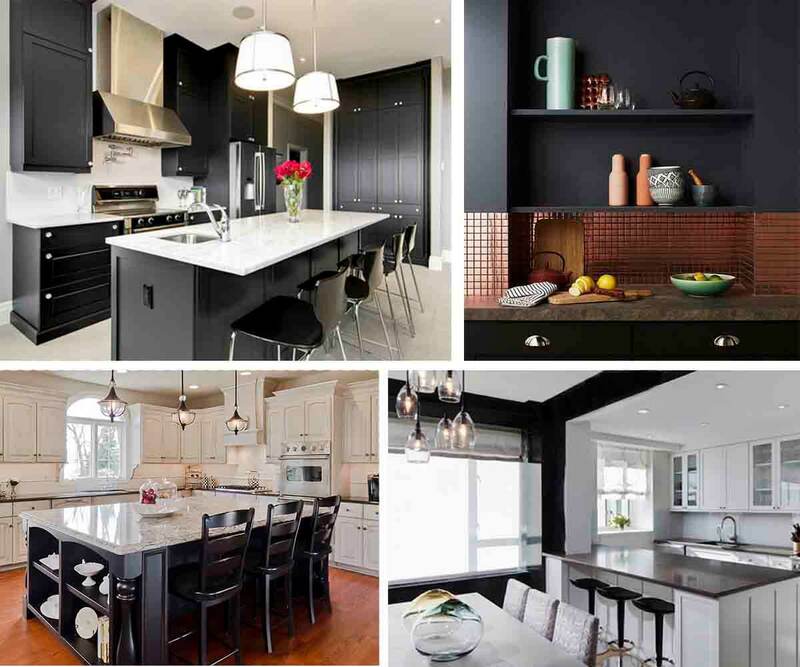 If committing to black cabinets is a big stretch for you, try adding accents like just the centre island, or appliances like the sink, faucet, stove or range hood. 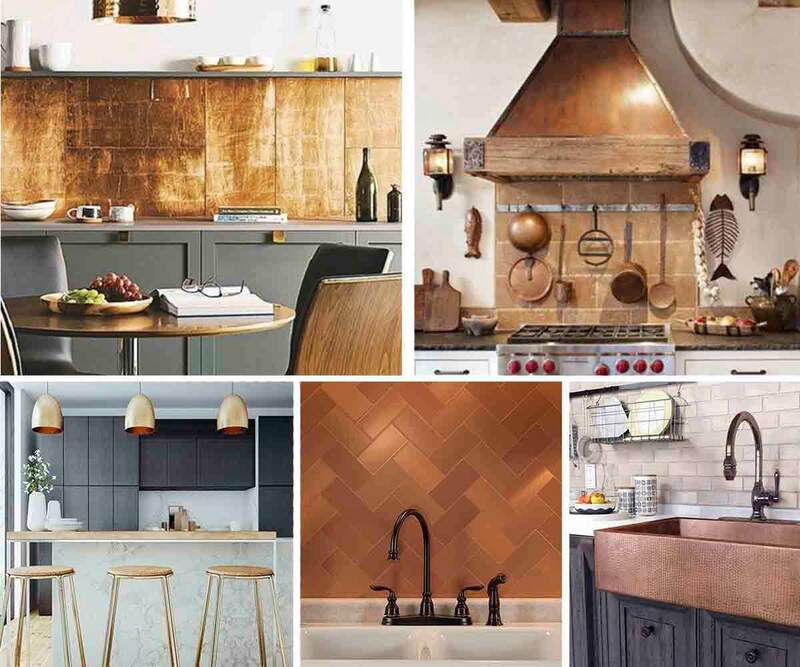 Copper elements add an understated, cool lux and tend to look fantastic anywhere. It may be the “metal of the moment” but it’s been used in design for hundreds of years. This metal will add a timeless and elegant touch to any space. It has a subtle glow and warm tones that pair well with dark colours and natural elements (see black kitchens above!). It’s also great for use in kitchens because of its anti-bacterial properties. 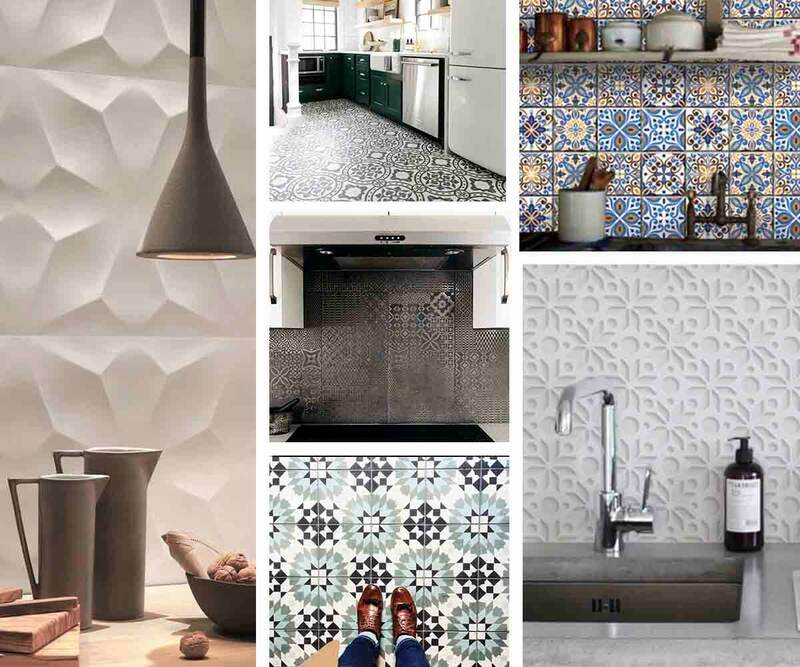 Textured or coloured tiles create a focal point and add a unique architectural element to your home. This centuries-old industry has had a shakeup and the possibilities now seem endless. Hexagon mosaics, oversized shapes, bold colours and texture are now at the top of every trend-setter’s style list. Think floor tiles too – instead of blending into the background, consider tiles that grab all the room’s attention. Adding color to any space is an instant mood lifter! 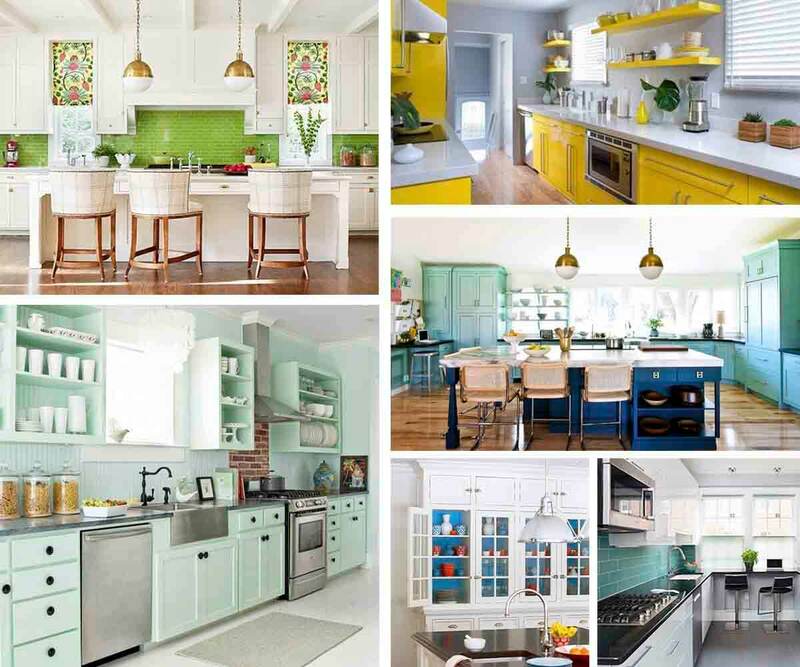 Bringing colour onto your cabinets, countertops, or backsplashes can have a dramatic effect and make a bold statement. If you’re not ready to commit to that much colour, try introducing it to kitchen accessories, draperies, and rugs. Painting the walls and a few new accessories can brighten your space and give you a whole new look.